Summer vacation wasn’t quite over yet. I decided to take a trip to Brønnøysund a visit my mom. Anne would look after Karma while I was away. During the upcoming week, I hoped to reach my annual goal of 100 new peaks (with a prominence of 100m or more). After a busy summer, the count was 91, so I had a high hope that I would return home having met my goal. 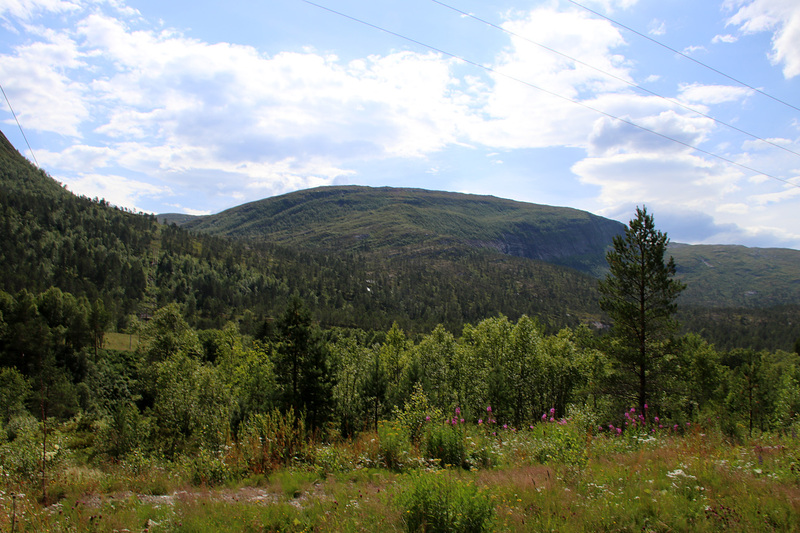 The drive from Gurskøy to Brønnøysund is a long one – 750km, and I normally spend the night at Stav Gjestegård north of Trondheim. 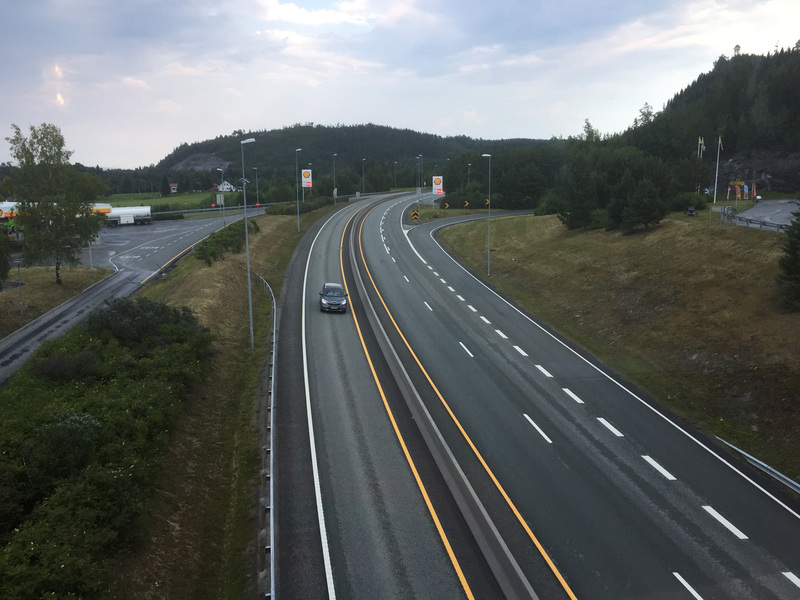 It has been a tradition ever since I was a young boy, in the back seat of my parents car – on our way from Oslo to Brønnøysund. I called Stavand made a reservation. The website said I could get a room for NOK 750, which also was the price the guy on the phone gave me. 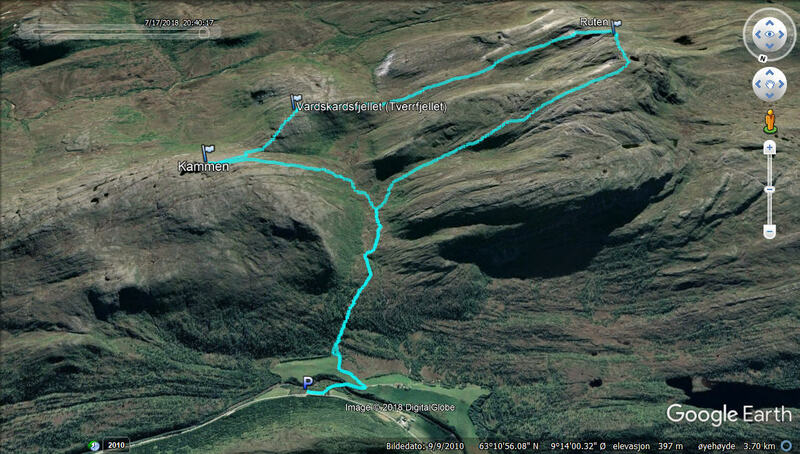 But before settling in for the evening at Stav, I decided to increase my run count from 91 to 94 by doing a round trip hike across Ruten, Vardskarfjellet and Kammen on the Hemne – Rindal border (Trøndelag county). 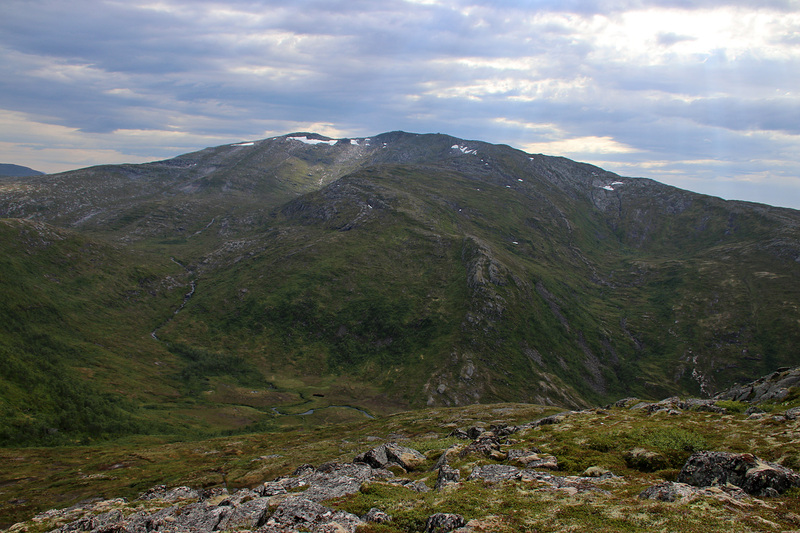 Ruten is a peak I’ve wanted to visit for quite some time – being the high point in Hemne. 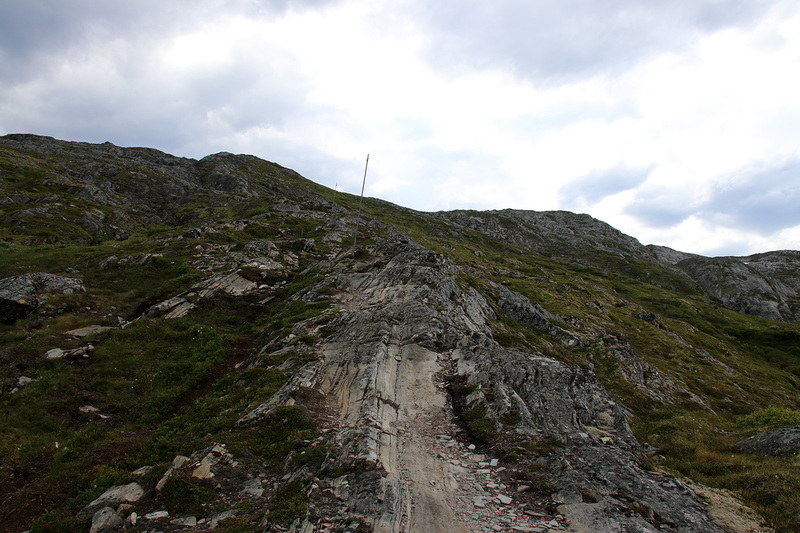 After 3 ferries along E39, I reached the Ruten trailhead near Søylia and was ready to hike at 2:23pm. It was really hot day (it had been a crazy, crazy warm summer…) and I dressed accordingly. But I wouldn’t be surprised if I get some rain along the way. 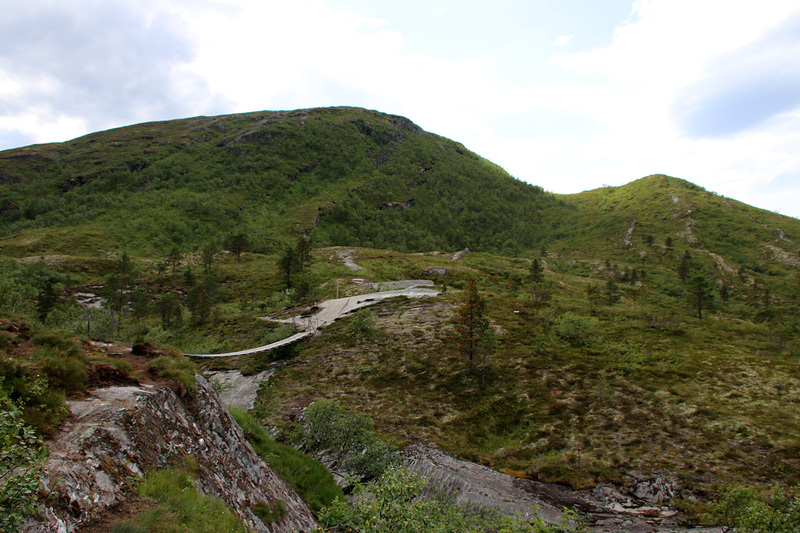 I followed a well worn path up to the valley where I crossed the river on a sway bridge. After a while, the path headed up a valley to the southwest. The route was well marked, and given the military (?) installation on top, I guess the iron markers are there for guiding snowmobiles safely up and down in winter. It should be added that Ruten is also a popular for top for downhill skiing (telemark, randonee). 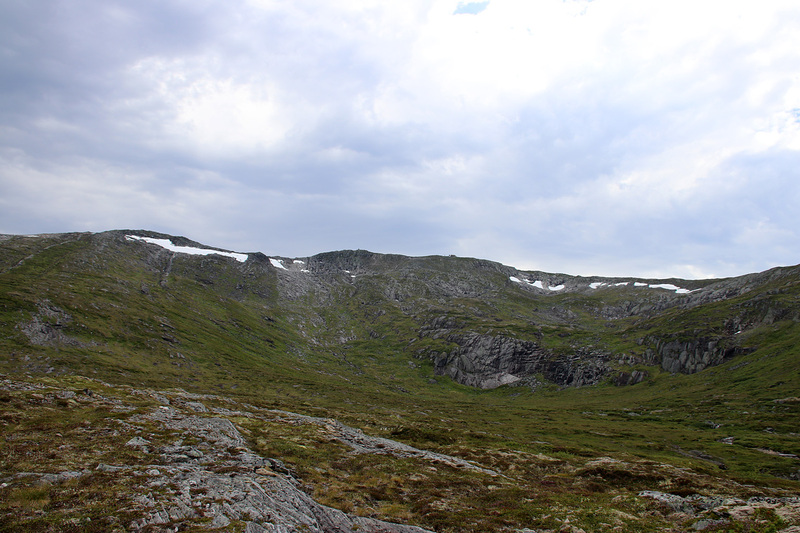 I decided to move on right away and headed down into the valley below, aiming for Vardskarfjellet and Kammen. The terrain is overall easy if you’re used to hiking off-trail. 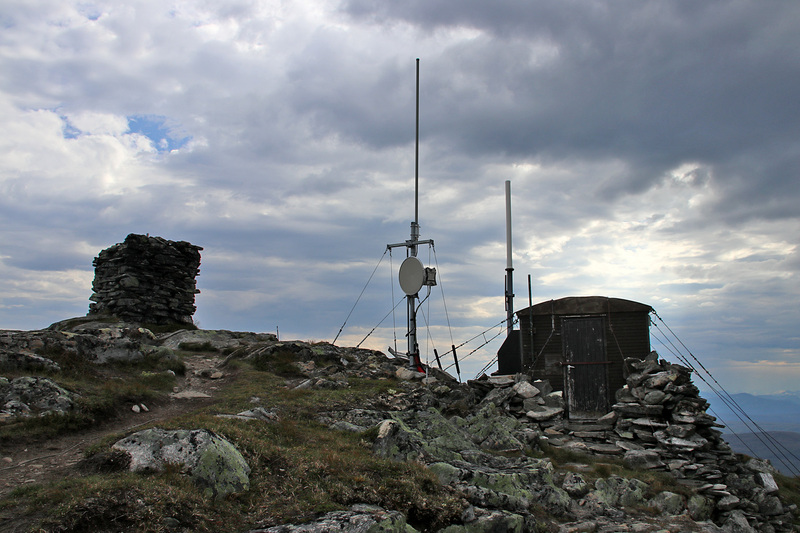 Eventually, I reached the top of Vardskarfjellet and continued after a few pictures. 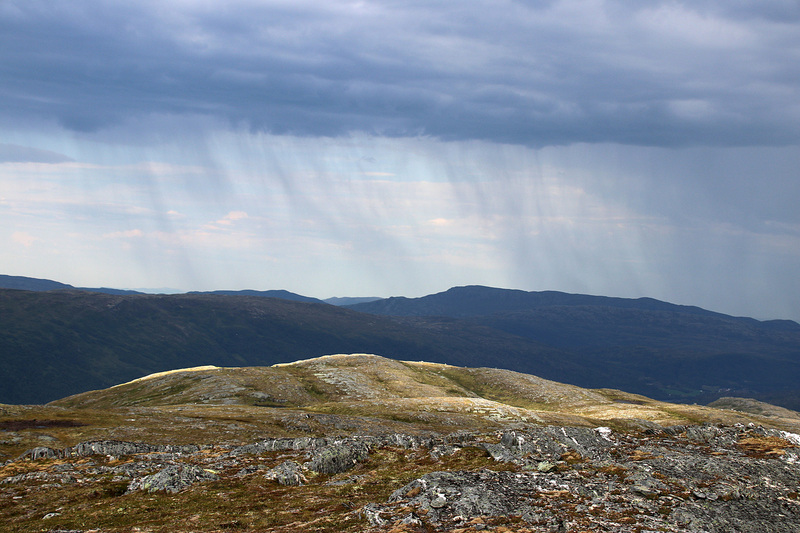 20 minutes after reaching the top of Vardskarfjellet, I stood on top of Kammen – my 3rd new top for the day. The question was now if I should descend directly down to the valley or head north and join the trail closer to the trailhead. I decided to go for the valley and tried to follow slabs wherever I could find them. Once down in the valley, I aimed for the path to Ruten. I returned to the car 3h:15m after heading out. After changing clothes, I went back on the road with 100km to go before I got to Stav. Checking into Stav made me smile. There were hardly any cars in the parking lot, but the receptionist seemed to have a hard time finding a room, even if I had made a reservation. The clicking on the computer lasted for several minutes before he could give me a room key. Is this a hotel-thing? I stopped smiling when he wanted to charge me more than 1000 NOK for the room. I explained that I already had a deal with them, and after more minutes of computer clicking, the price on the display suddenly changed to the price I had been given. The guy didn’t say a word. I guess he was laughing inside when he gave me the room closest to the motorway. With this temperature, having the windows closed was not an option. I did NOT sleep well that night.